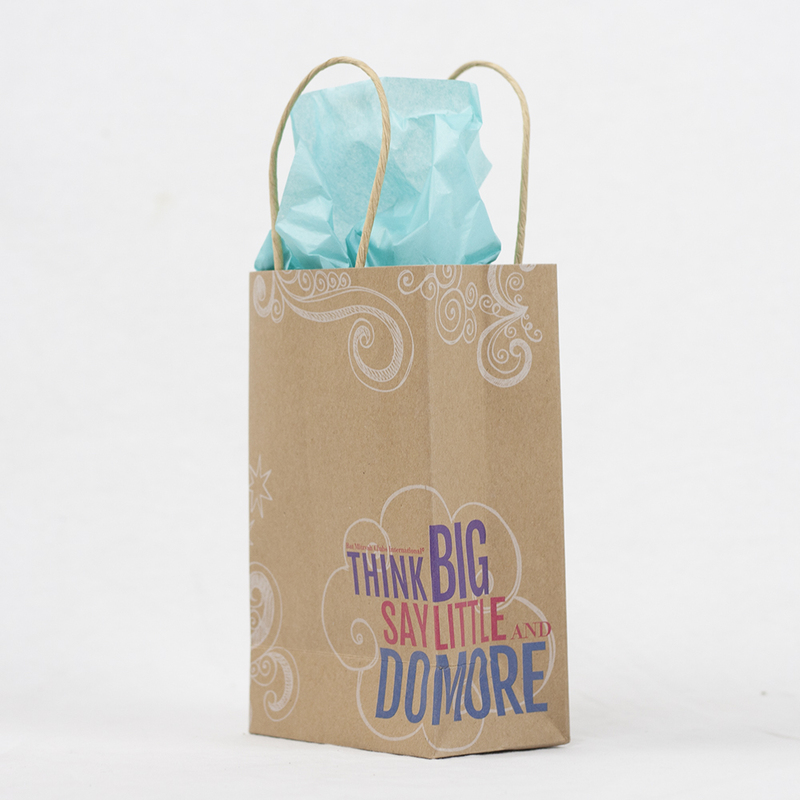 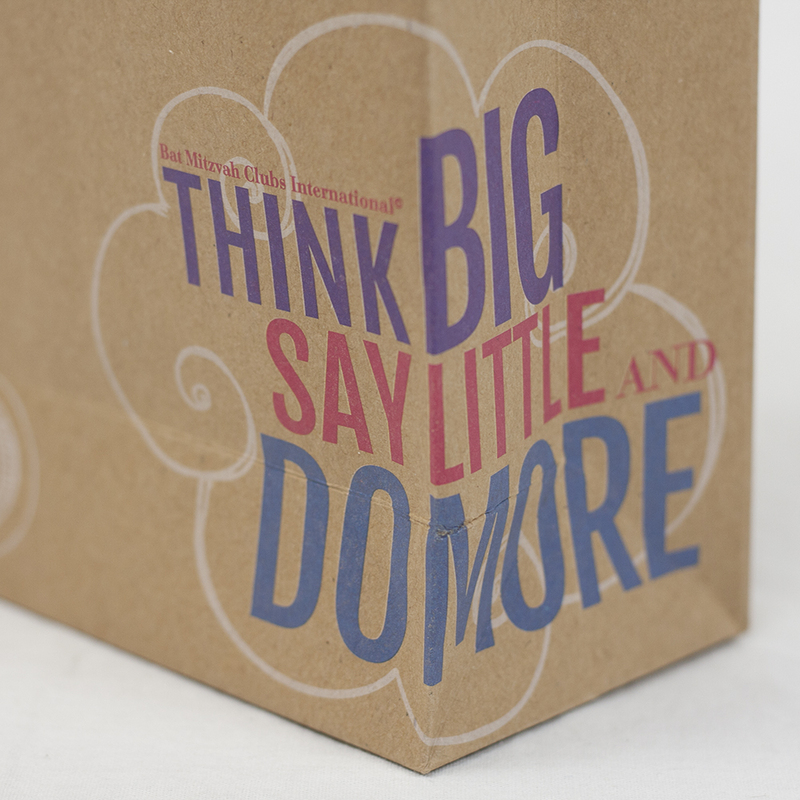 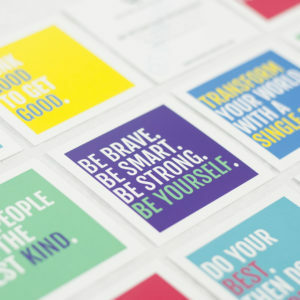 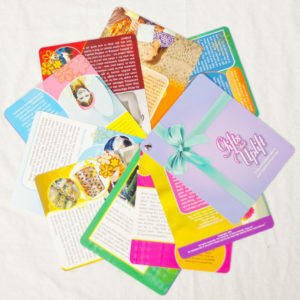 We like people to leave the BMC feeling inspired, so it’s no surprise that even our gift bags are decked out with a meaningful phrase that shows the importance of dreaming and doing: THINK big, SAY little, DO more. 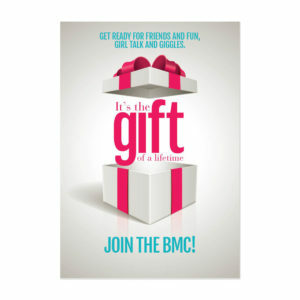 BMCers know that they are in full control of which thoughts are allowed in, which words should come out, and which actions should be done. 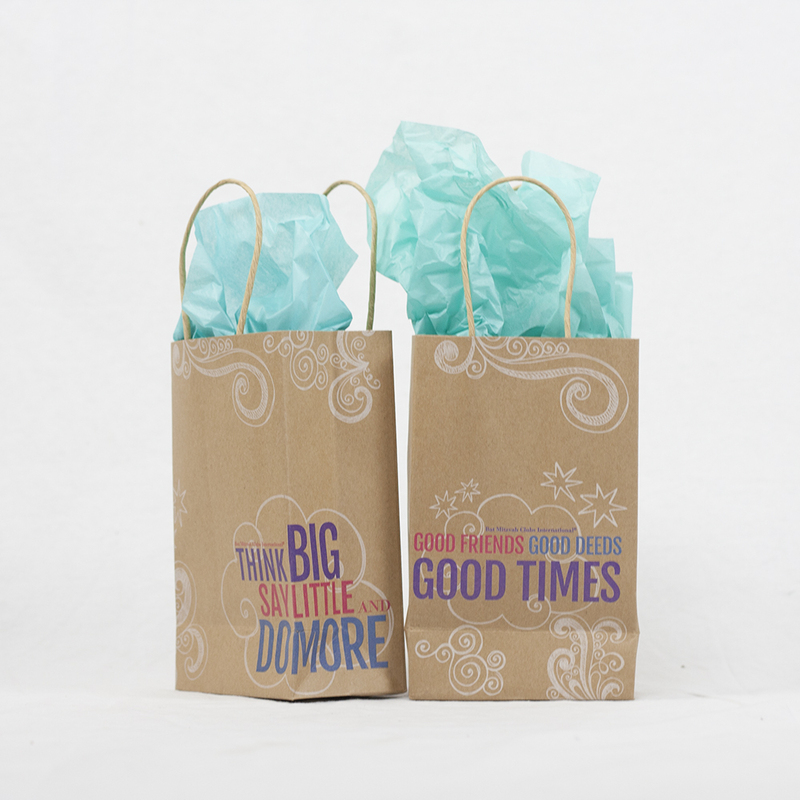 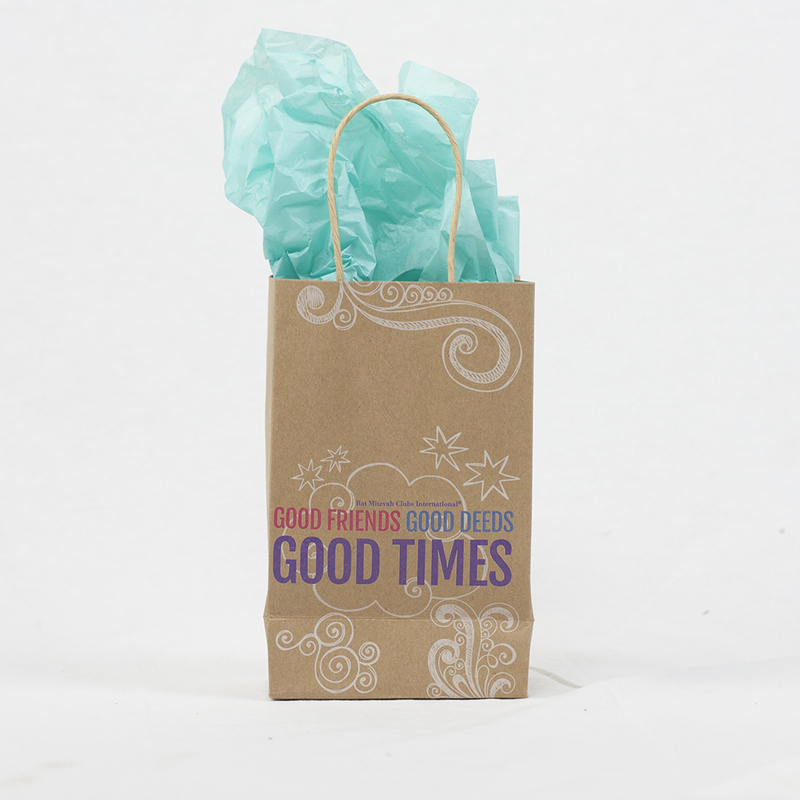 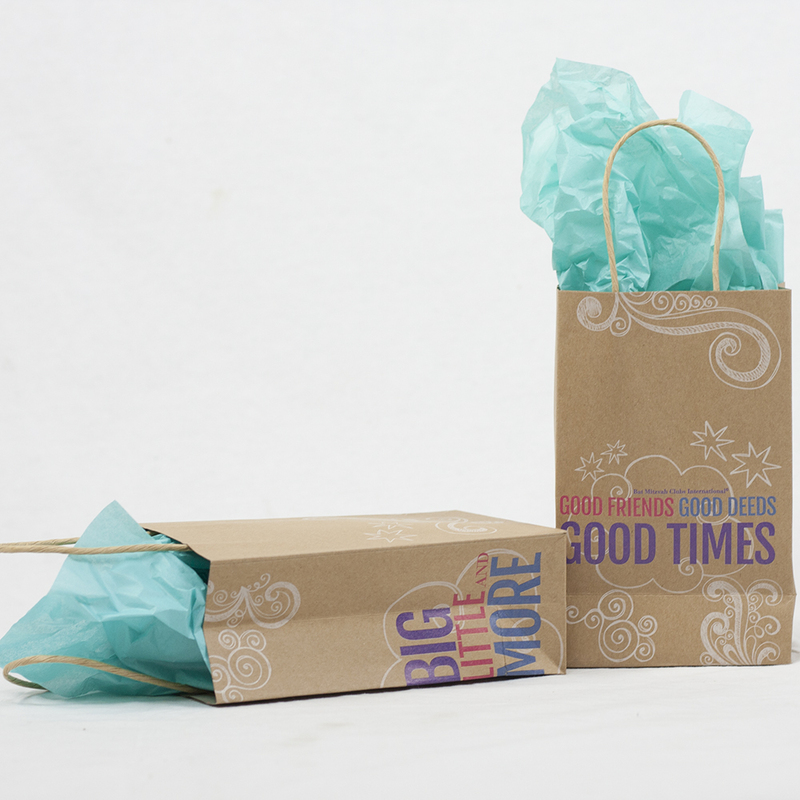 The 5” x 8” x 3” Kraft bags sport the BMC’s signature colors and doodle patterns that are sure to appeal to your members. 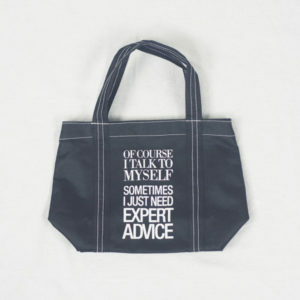 And because they’re heavier weight than the standard bag, their message will stand around for a long time!